I got lucky! 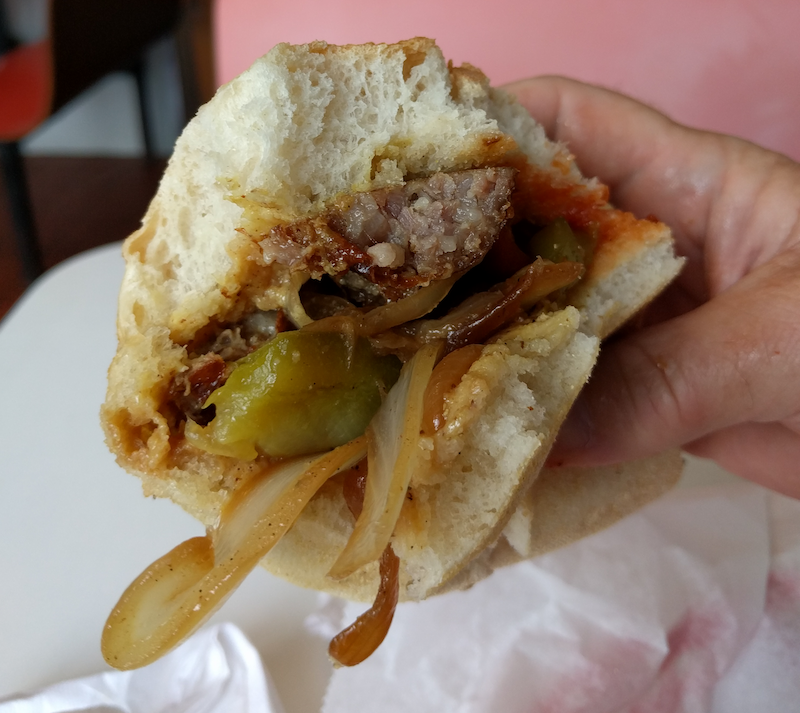 I was in West Orange, NJ to visit the Edison Museum and it's around the corner from a unique sausage treat. But that wasn't the lucky part. The lucky part was arriving on a Tuesday which is Fat Tuesday at Jimmy Buff's Italian Style Jersey dogs -- double the sausage for free! 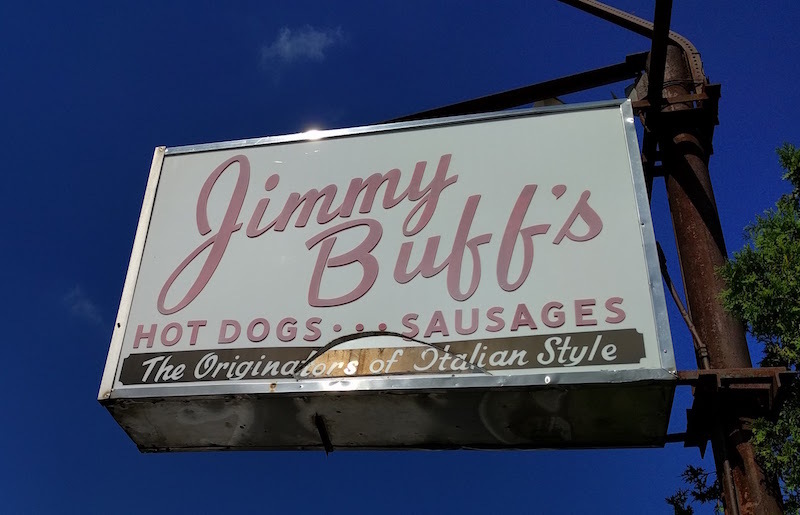 OK so double the meat for free is a great thing, but otherwise -- what's so special about the Italian hot dog at Jimmy Buff's? A lot! First off, the roll is half of a pizza dough roll, which is dug out to make a pocket. Then it's stuffed with sausage, potatoes, and peppers. Then it's topped off with catsup. But wait -- there's more! 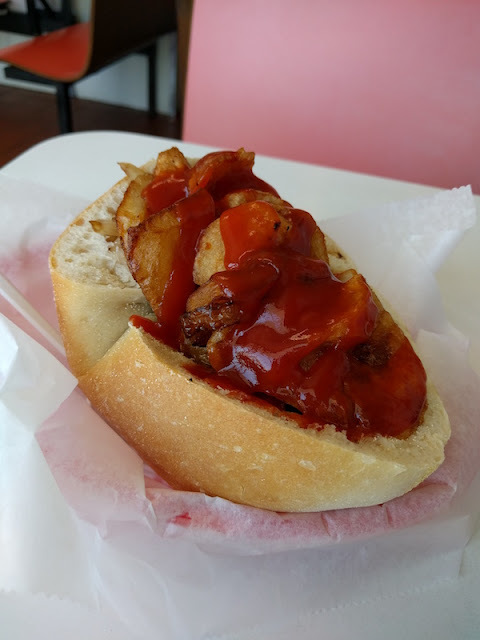 The sausage, potatoes, and peppers are cooked together in a big fryer right at the counter. The cook moves things around as they get more cooked, and stuffs them into your pizza roll right out of the fryer. 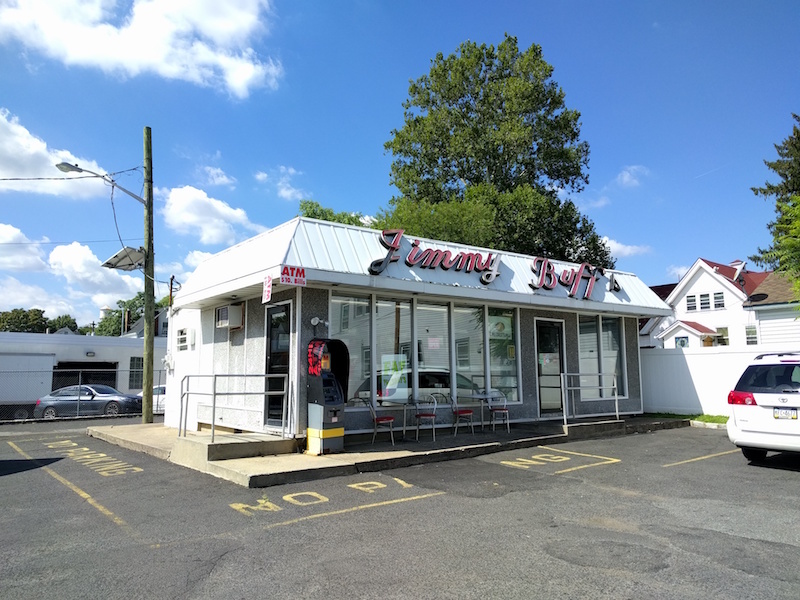 Yes, it's hot and greasy when you get it, so give it a few minutes to cool down. 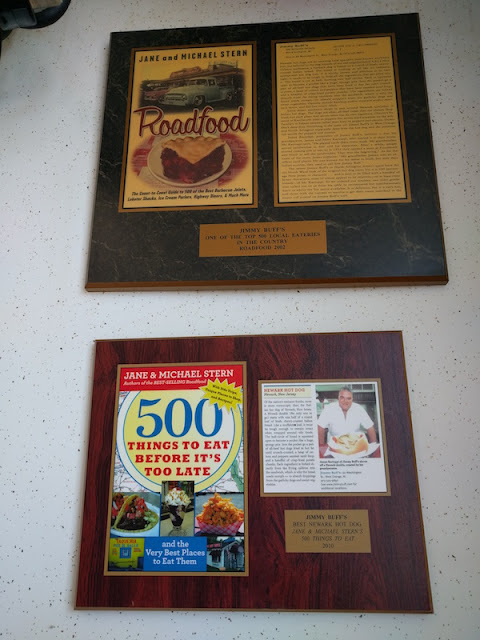 Jimmy Buff's as seen in my two favorite road food books! I found Jimmy Buff's a few year ago from the IFC Adopt-A-Comic's YouTube channel where comedian Chris Gethard talked about one his hometown favorite places to eat. Check it out! I never had a bad meal in New Jersey, this one was especially delicious.